We’ve received a lot of questions pertaining to the free book program for teachers and librarians. We are currently back in stock and will be set to fulfill your requests as long our supplies last. The Creed Griffon website is the only online store that offers the free book program. The free book program is on a first come first serve basis and pertains to soft cover copies of The Road to Dendura only – and not to its e-book formats such as Kindle or Nook. Simply click on either link above. You’ll be asked to provide a few basic details for employment verification but the process is very easy. I thank you for your continued support and interest in The Road to Dendura series but most of all for your patience and understanding in this matter. Marylin, it was certainly nice to meet you and your 4th Grade Miller Mustangs! You may not have known it, but I kept an eye on the yellow t-shirts throughout the day, and I must say that your kids were among the most cheerful and well disciplined children at the aquarium. I’ve had many readers email me about the pictures from Monterey Bay Aquarium. It is truly one of my most favorite places on earth! If I could live at the aquarium I would – no joke. It sincerely makes all who visit appreciate and respect the wonders of nature. I am a fully certified PDIC diver. 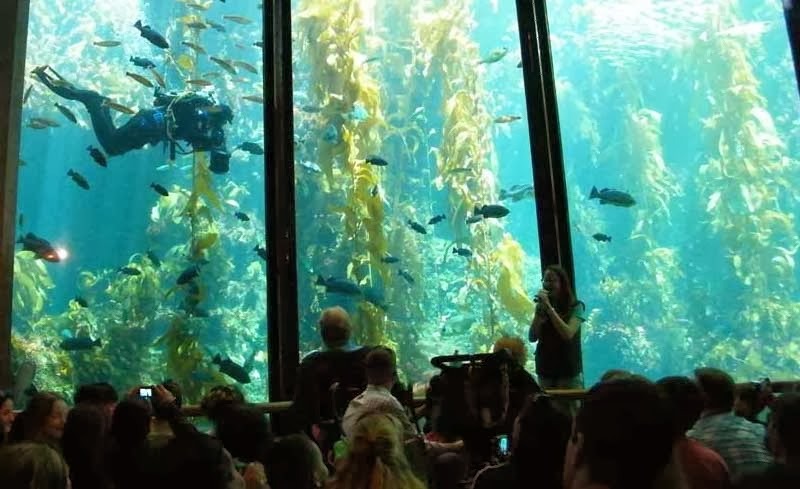 For those of you who haven’t had the privilege of learning how to scuba, the Monterey Bay Aquarium is the next best thing to understanding what it’s like 100 feet or more below the ocean depths – without becoming a part of the food chain. I drew many of my ideas, emotions, and descriptions of creatures for The Road to Dendura – from underwater life I’ve experienced as a diver and also from my visits there. If you read about the dragon, waterfall, the house of the willow, or Creed’s fear of water, you’ll see what I mean. “Here’s a simple but powerful truth that many parents and schools don’t act on: The more kids/teens read, the better readers they become. The best way to get kids and teens reading more is to give them books that they’ll gobble up – and that will make them ask for another. Yes, it’s that simple. 1 + 1 = 2. Kids say the number one reason they don’t read more is that they can’t find books they like. Freedom of choice is a key to getting them motivated and excited. Vampire sagas, comics, manga, books of sports statistics — terrific! — as long as kids are reading. Should they read on e-tablets like Nook and Kindle? Sure, why not? (I’ll cover that more later) How about rereading a book? Definitely. Set a good reading example by letting your child see you do the very thing you are asking them to do. While you’re at the library letting your children pick out a few books, why don’t you choose a few for yourself? Let your child see you reading a good book now and again. This will prove once and for all that you’re not trying to punish them by asking them to do the same thing. 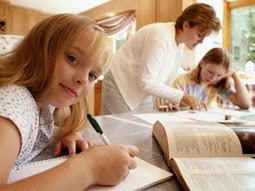 The Real World Example: Pending your child/teen’s age, have them assist you with reading a recipe, ordering food from a menu or putting together a toy using directions, reading a map on a trip or signing them up to read to younger groups at the library … Use your imagination – this can be a an excellent demonstration of the practicality of reading. Of course the task should be age appropriate but for smaller children, I recommend basic reading board games such as Uncle Wiggly, or the Reader Rabbit series. These methods are fun but once again they place your child in a real world scenario in which they need to utilize reading to play/win the game. In turn, they realize that reading is not only necessary; it’s a valuable skill that can help them get ahead in the real world. Get involved – Some of you cringed when you read the words – get involved. But the depth of involvement is up to you and what you feel is necessary. Start off easy. The example I’m about to discuss was the same one we used in my home – with the same positive outcome. However, I thought it best you hear about unbiased results: A fellow teacher’s children were five, seven, and eight. Every night before bedtime, she would read with them for ten to fifteen minutes. 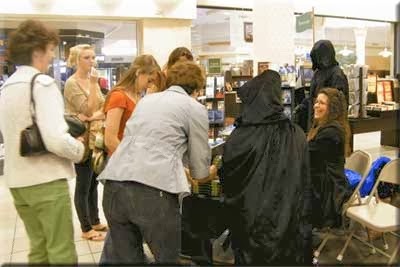 At first she did most of the reading. I have to admit it was a sacrifice for her, because for the most part (like the rest of us) she was just dead tired after work. At first they picked simple to read, easy to follow books with lots of pictures on subjects they were interested in – most of which we found at the local library or on eBay. This same routine was followed all the way up until the day when each child was capable of reading on their own before bedtime. Pending on what type of day they’d had, they were allowed to stay up another fifteen to twenty minutes past bedtime in order to read. In their eyes it was a reward because they got to stay up longer and delve into a good book. In their mother’s eyes it was also rewarding because she finally had her children reading on their own.